Pregnancy Complications From Personal Injury Accidents | Hupy and Abraham, S.C.
You can’t live in a bubble and avoid all risk while you are pregnant. As you go about your daily activities, however, you are at risk of being hurt in an accident. The dangers of being hurt in a car crash, being injured in a slip and fall, being made sick by a pharmaceutical drug or medical device, or being hurt in any other kind of accident can be devastating to you and to your unborn child. 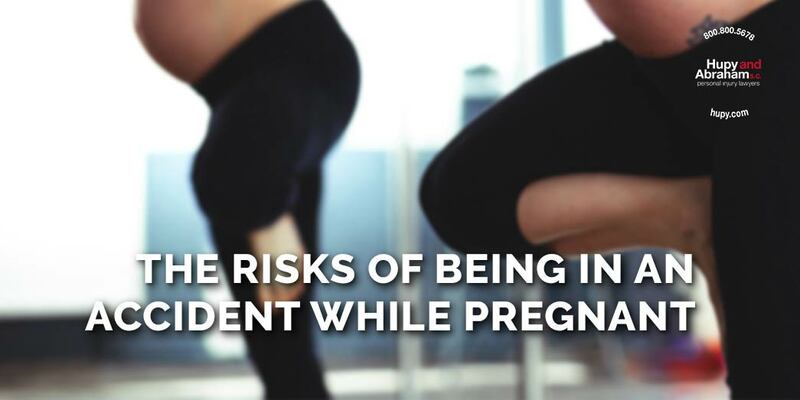 Being hurt in any kind of accident while you are pregnant can be overwhelming. As you seek the necessary medical care, you may be wondering who is going to help you with your legal issues and with recovering damages for your injuries. Our experienced personal injury lawyers can help you get the fair recovery that you deserve if you take action before the statute of limitations expires. Have You Suffered One of These Injuries? Pre-term labor which can result in permanent disabilities for your child if your child is born too early. Additionally, both mother and child may be at risk of death from one of the complications listed above or a non-pregnancy related injury. It is important to get medical attention if you are involved in any kind of accident while you are pregnant. Whether you fell on someone else’s property, whether you were hit by a driver, or whether the medication that you were taking made you sick, it is important to have a qualified doctor diagnose any complications and treat you. If you or your baby have suffered any injury, then it is important to contact a personal injury lawyer for a free and confidential consultation. Our attorneys can investigate your case and help you get the recovery that you deserve either through settlement negotiations or in court. For more information, contact us online or call us directly at 800.800.5678.